It was great to see so many ladies participate in our third scheduled Monday Ladies Golf Night this season. We had a total of 133 participants. Next week on Monday May 22nd , we will be playing new format called a “Shamble”. Like in a scramble, all members of a team (usually four) tee off and the best ball of the four tee shots is selected. All players move their balls to the spot of the best ball. From this point, the hole is played out at stroke play, with all members of the team playing their own ball into the hole and recording their individual scores. We will be playing our game on the back nine with any overflow assigned on designated holes on the front. 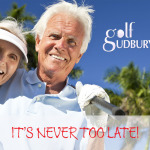 You can book your starting hole on the Sign-up Sheet being distributed this evening or call the pro shop after 8:00 am on Tuesday morning at 705-560-1090.